Oak Park Marina & Resort offers you several options for your wedding, reunion, or corporate event! 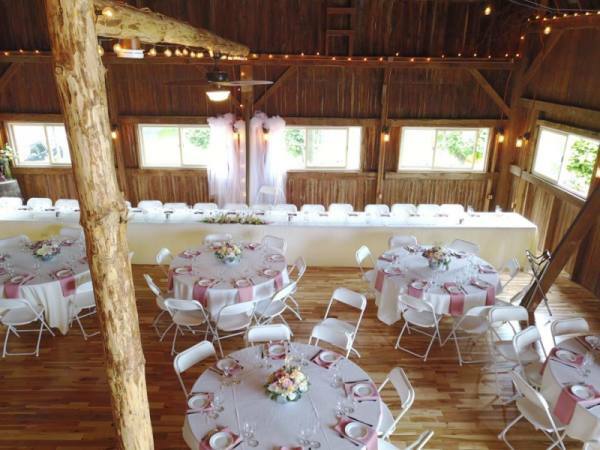 Wedding/Event Barn: Our original farm barn in Rustic chic décor is ready for you, in a picturesque setting overlooking Sodus Bay. On-site catering and events planning is available. Dockers Seafood & Grille Restaurant facility: Provides options for sit down or buffet meals, with beautiful handcrafted woodwork with a balcony and deck overlooking the Bay. Seating up to 250. Spacious Marina/Resort grounds: Can accommodate a spacious event tent, up to 350 people for your special event. Beautiful setting for a wedding ceremony and reception.